Although the list of benefits associated with RE-Trax is quite extensive, current users love the fact that this platform is cost efficient while generating a return on investment. In addition, the platform offers automated workflows, reduces email and other clutter, and provides breakthrough silos between teams. The platform is not only easy to use but also simple to deploy. Ultimately, you can make well-informed decisions without a lot of effort. 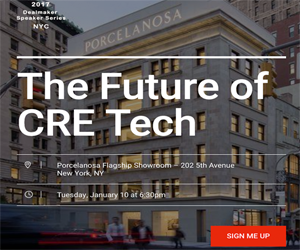 This 100 percent cloud-based managing platform is revolutionizing the real estate industry. It was designed with real estate professionals in mind. Because of that, it takes a unique approach to alleviating pain points. With RE-Trax, creating efficiencies has never been easier. The platform is ideal for project management and collaboration, facilities and asset management, analytics, mapping, site selection, and lease administration. This product offers a dashboard and reporting module that displays vital, executive-level information so that you can make strategic decisions. With the innovative reporting module, you have the ability to create concise customized reports. Best of all, you choose what information is needed, when it is needed, and how it needs to be used. The analytics, mapping, and site selection feature of RE-Trax is exceptionally helpful. By using mapping and analytics, you immediately have a competitive edge. Being provided critical information helps in making key decisions pertaining to location. The site selection feature ensures highly effective communication from start to finish. As a result, entire deals are streamlined. RE-Trax is also beneficial in relation to lease administration and project management. With the lease administration feature, you can track critical lease information, dates, and CAM reconciliation. The project management feature is just as impressive. With this feature, construction projects run smoothly. This powerful module ensures that projects stay within scope and follow the budget, but it also allows you to keep everyone in the loop. There is even a facilities and asset management feature for tracking asset data, histories, and warranties. With an intuitive workflow, your entire team will have no problem staying on top of repair and maintenance issues. RE-Trax was developed by a team of professionals with extensive knowledge and experience in both real estate and software. With a combined 30 years of experience in real estate, as well as many years selling software solutions that are cloud-based, the team is now offering a one-of-a-kind solution to make real estate processes easier. From the beginning, the goal was to create a software platform and tools that are easy to use and effective. The result is RE-Trax, a product that real estate professionals are excited to use.